On Tuesday we had a visitor, Silvia Formiglie from Florentine wine and oil agency Selezione Fattorie. I have worked with her for ten years now, first with Brunello producers Fuligni and Fanti, and now a couple of other producers of Prosecco and a Sorrentino white. Silvia is always on the road, nose to the grindstone and I have to say she must have phenomenal reserves to do as much as she does. Anyway, on Monday evening she was delayed coming from Le Nord so we put off our meeting until Tuesday and she duly arrived around eleven (I thought a lie-in would be welcome). We chatted about business, 2008 and 2009 Brunellos and what I feel is the strength of Fuligni’s brand. And the sun (albeit hidden) moved gently over the meridian and I proposed some lunch. Although slightly perturbed by the idea of eating a seaweed salad prepared by an Englishman in the heart of Burgundy, I think she liked it. She certainly had three helpings…two would have been polite. And now for the wines; we started off with a Riesling from Alto Adige, Riesling Valle d’Arco from Pacherhof in Novacella (Bolzano).. It definitely needs time to open up and it opens with a discreet elegance. There is a nice base note of residual sugar although this is far from overwhelming. It is interesting to put it up against Dr L from Loosen, whose acidity is more marked, but perhaps a little more contrived. An ideal apéritif it lacks perhaps the ethereal lightness of German rieslings, but is less physical than those from Alsace. I wonder whether it might just be a little too dear to succeed, but a small purchase an option it would certainly offer something new to a curious Dijonnais (on whom I would like to count on heavily in the future, if the species exists). Now I have been offering and opening Torricino’s Fanno di Avvelino 2010 for the last two years. Torrecino is a domaine up in the hills behind the Amalfi coast, and there vines grow high…upto more than 800 metres above seal level. Believe me, that is high. 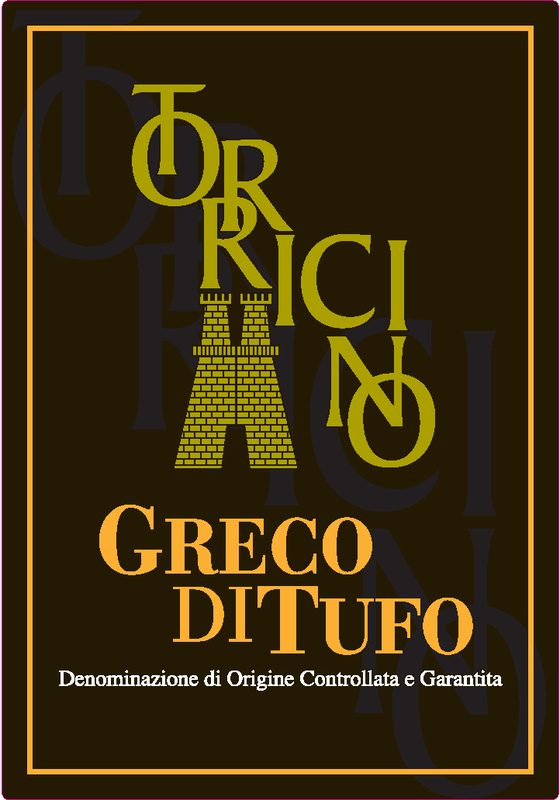 These white local varieties have been championed more vocally and visually by Feudi San Gregorio, but Torricino’s wines are significantly better value, and arguably more faithful to their roots and tranditions. I aways imagine a slightly dark, volcanic quality in their wines whereas the terrain is actually more chalky clay. The domaine has staked their reputation on local varieties Fanno di Avelino and above all Greco di Tuffo. Both are quite masculine, bulky whites with good acidity, weight and length. And then onto the reds, and we started with a slight oddity. not least begause you wouldn’t expect a wine from Puglia to be tasted before a Piedmont. But on tasting it makes sense. The wine in question was the 2009 Le Cruste, a Nero di Toria from Alberto Longo. Now Puglia is of course the natural home of Primitivo and its American pseudonym Zinfandel. Nero di Troia, perhaps once imported from classical Troy,a is unique to Puglia It shares the clean, pure lines of well made Primitivo. It does not express the heat that you might expect from the Puglian client. The vines are planted very densely, with 12500 vines per hectare and the focus is on quality. Cooled by westerly winds the wine offers a mouthful of fresh, dense fruit. And then something curious happens…the wines seems to disapear somewhere in the mid-palate before coming back with a delicious finish, long and spicy. I couldn’t quite decide what to make it of it, but at the price point, 15 euros or so, it is an interesting introduction to Puglia, and certainly more original than Primitivo. And then we charged north, to a trio of wines from Piedmont. 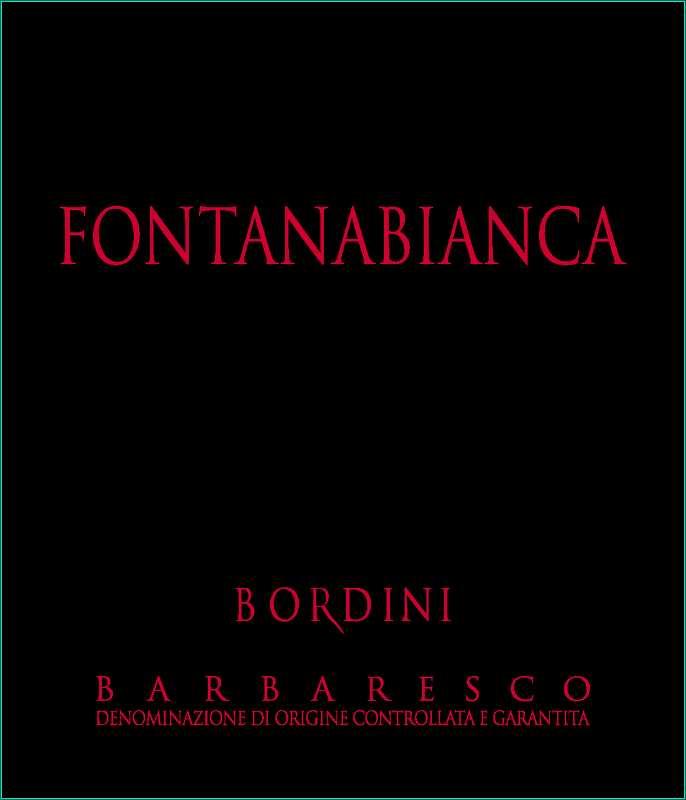 Silvia opened with a 2009 Barbaresco Bordini from Fontanabianca, definitely not to be confused with Fontanafredda who produce in quasi-industrial quantites. Firstly, it’s one of those beautiful Italian bottles, immaculately presented and enticing to the eye. Of course, everytime I drink a wine from Barolo or Barbaresco I have to get over my terrible prejudice that they are always considered the cousins of Pinot Noir. But there is a difference, young wines from Piedmont do not have that terrible sugary quality of young Pinot Noir. Not so Bruna Grimaldi’s 2010 Barbera d’Alba Superiore. This would enter my list at around the 11 euros level. And it packs power and punch.This is a rich, juicy Barbera offering a spicy entrance into the world of Piedmont. 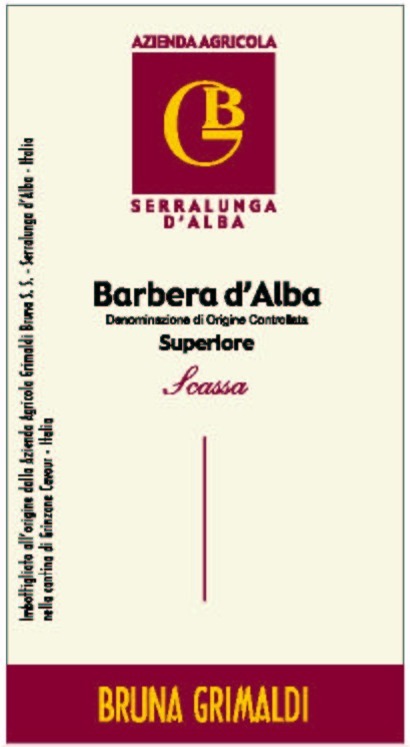 Now in terms of classicism it won’t set off any alarms, but that is not what Barbera is a ll about. Barbera, and it has to be young Barbera is all about accompanying food, be it pizza, pasta or ragu! And this will do just fine. 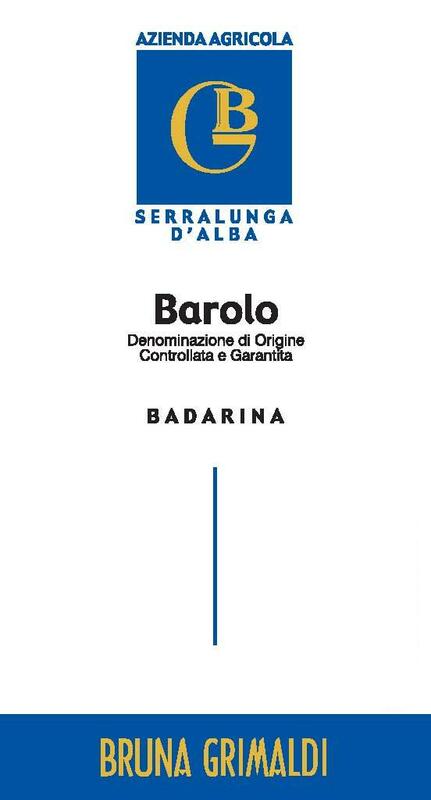 More serious, more complex and more seductive is her single vineyard Barolo Badarina 2006. Bambinissimo certo, but lovely nevertheless. It has a little age on it now, so it’s quite clean in the bottle. As I think back, the nose escapes me except for the tell-tale scent of roses. There is a lovely texture and its colour and weight are quite the opposite of the Barbaresco. It has fine tannins and good length. Well worth a punt, but again, off the shelf at 30 euros I fear it would not move fast. I have been thinking about doing a little reserach into female winemakers; there are many, and I underline it is no way surprising, who produce sublime wines. There are the Villars in Bordeaux and Anne Claude Leflaive in Burgundy. Not to mention Mme Bize Leroy and Anne Gros would almost be a crime, but one of my personal favourites is Silvia Imperato and her beautiful Campanian gem, Montevetrano. Surprise, surprise, Selezione Fattorie are Tuscan agents for her and Silvia is a big fan too. All too often those Aglianicos from the south can be real bruisers, but Montevetrano is a miracle of balance, elegance and power. So it was good to taste the last wine of the day, 2009 Fiix Rosso Paestum from Cantina Rizzo in Campania. Now where as Imperato has blended Aglianico with a majority of Cabernet Sauvignon and 10% Merlot, Cantina Rizzo’s is just pure Aglianico. The wine has verve, the wine has a fine attack and the wine has weight. But I have to be honest, it’s a ll a bit short lived. It is delicious, but appears not to have the weight of some other “contenders”. But it is perfectly admirable and would enhance many a hearty dinner. I think I would serve it cool to preserve the freshness and a glass at dinner would probably be enough, not because it sells you short, it doesn’t, but just because I’d want to remember it for what it delivers, not what it doesn’t. However, and it is an important however, for one bottle of Montevetrano I coould buy six bottles of Fiix Rosso Paestrum. Pound for pound, or euro for euro, it’s well worth its price, and that is really all you can ask of a bottle of wine. And so it was time to pick up Gaspard from school and me to focus on my siesta. Mercifully we had really been tasting, and not swilling, but as ever there is that osmosis fatigue. Poor Silvia, reinforced with a single espresso set off for Florence; she said she would be home by ten thirty, but I rather fear it might have been the next morning rather than that night.